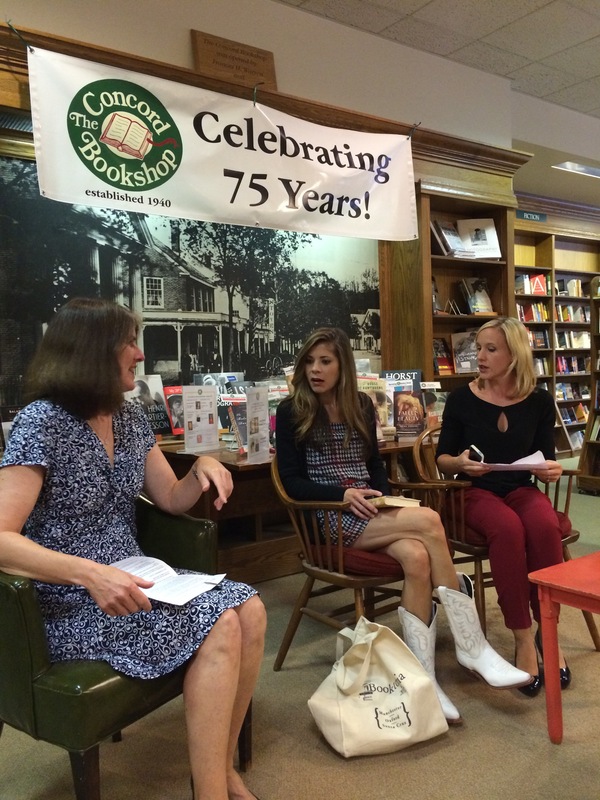 Saturday Snapshot: Authors at the Concord Bookshop! In the pictures Sarah and Erika chat with bookshop owner Dawn (on left) and also pose together (Sarah on left). I have to say it — Sarah’s cowboy boots were the cutest thing ever! Saturday Snapshot is hosted by Melinda at http://www.westmetromommyreads.com. Check her site for participation details! I love it when I wait for a book to come out and then read it and love it! 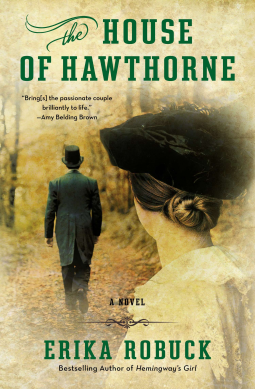 Erika Robuck’s latest book, THE HOUSE OF HAWTHORNE, tells the story of Nathaniel and Sophia Hawthorne’s life together, from their courtship to his death. Erika does a fantastic job making these characters come alive. Her depictions of Concord and Massachusetts at that time (mid to late 1800’s), along with her portrayal of other Concord notables (Emerson, Alcotts, Margaret Fuller, etc.) are spot on. We see Nathaniel and Sophia as they begin married life, have their years at the Old Manse, move to Europe, have children, and come home to the Wayside. Told in Sophia’s unforgettable voice, this story reads almost as if you are peering into the inner thoughts and workings of these minds. I loved every page of it. If you know me, you know that I spend a lot of time in Concord, hanging with the Alcotts. I am extremely picky when authors choose to write a novel that portrays the people I revere so heartily. I am incredibly critical and often have been known to toss a book aside because it seems anachronistic or unrealistic. I love Erika’s other books and actually was a tiny bit worried I could be disappointed – but no fear. This book is spot on and a joy to read. Sure to be one of my top picks for this year, be first in line when it comes out May 5th! Thank you, Net Galley and Penguin Books, for my copy! Local friends — meet Ms. Robuck (and another amazing author whom I love – Sarah McCoy) at the Concord Bookshop on May 7 at 7 PM. Meet me, too, if you want – lol! Get this book at an indie bookstore near you! Find it at an Indie near you! I am an Indie Bound Affiliate. 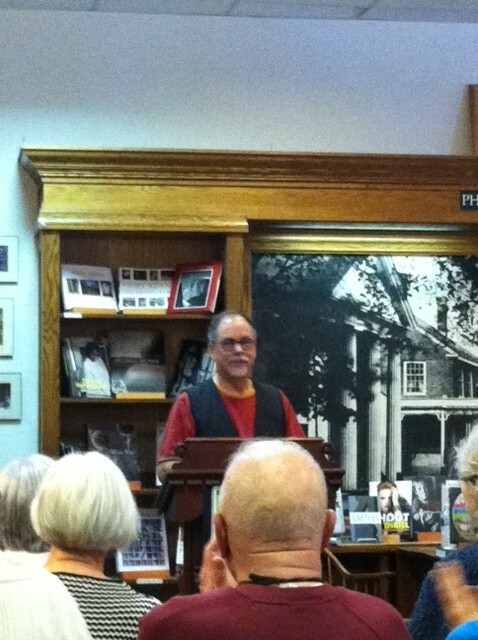 A couple of weeks ago I had the pleasure of visiting my favorite local indie — The Concord Bookshop — to hear local author Gregory Maguire (of WICKED fame) speak about and read from his new book: EGG AND SPOON (sorry picture is a tad blurry!). EGG AND SPOON is a story of two girls, one wealthy and one poor, who switch places. Added in to the classic fun is the character of Baba Yaga and her house on legs. Maguire is a great speaker and fun to listen to. He has a droll sense of humor and I really enjoyed the event. That said, I am still a bit unclear who the targeted audience is for this almost 500 page novel. At first I thought children, but then I thought adults. Then after browsing online I was completely confused. I would say perhaps it is a book about children but written for adults; or a book you could read aloud to older grade children and then discuss. Of course I’m sure there are precocious children who would “get it”, too. There’s a bit of a glare in the background (showing you Main Street, Concord!) 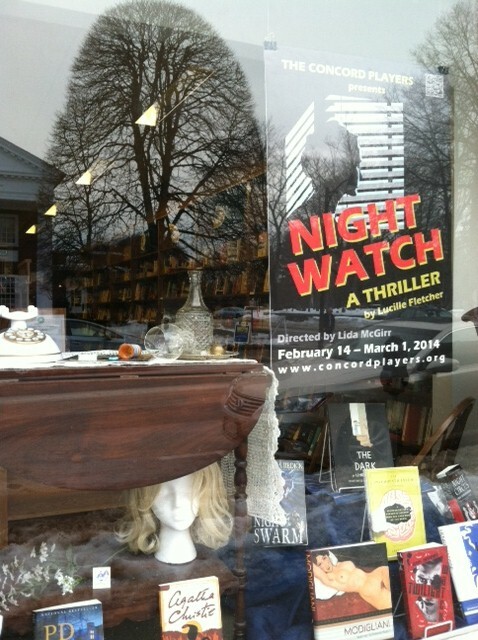 but I thought they did a fun job putting in a few play props and then books that fit the mystery/thriller theme of the story! Just a note — The Concord Players was originally started as the Concord Dramatic Union by none other than my hero, Louisa May Alcott (and her sister, Anna). No surprise that I’ve attached myself to the organization!! Saturday Snapshot is hosted by Melinda at http://www.westmetromommy.blogspot.com. Please see her site for info on participating. 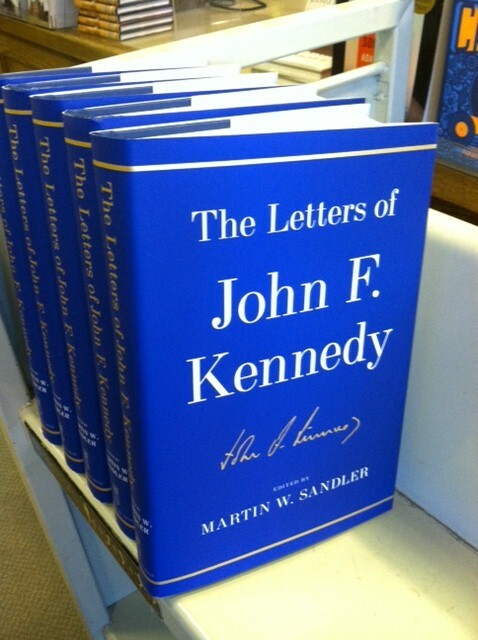 Last Sunday, Martin Sandler was at the Concord Bookshop to speak about his new book: THE LETTERS OF JOHN F. KENNEDY. Sandler was an entertaining and engaging speaker, and this book promises to highlight many letters to and from JFK that have previously never been published. It is hard to believe that we are marking the 50th anniversary of Kennedy’s death this month. You can get yours at the Bookshop (they even have some signed copies left!) or at your own local indie! I’ve been posting about some great events lately at my local favorite indie bookshop and last night’s event was no exception. J. Courtney Sullivan read from and answered questions about her newly released novel THE ENGAGEMENTS. This is a novel about love and marriage, about diamonds and marketing campaigns. It should prove to be an interesting read! 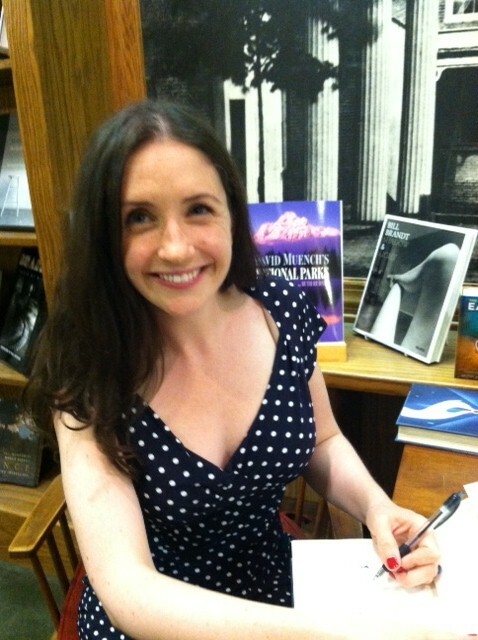 J. Courtney Sullivan is also the author of MAINE and COMMENCEMENT. She was quite gracious and a great speaker! I look forward to reading her book. 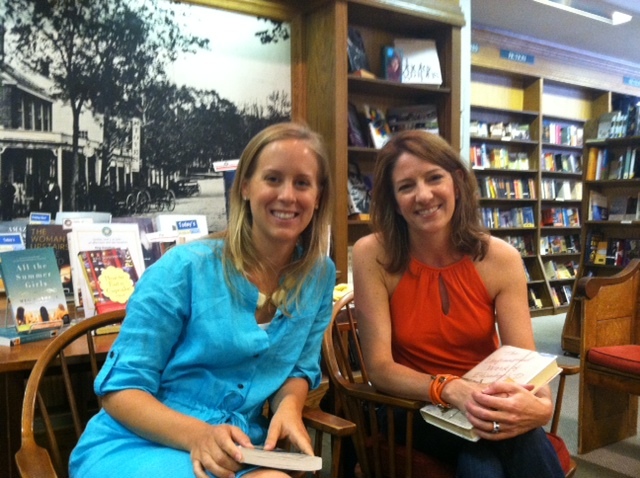 Afternoon at the Concord Bookshop with Erika Robuck! 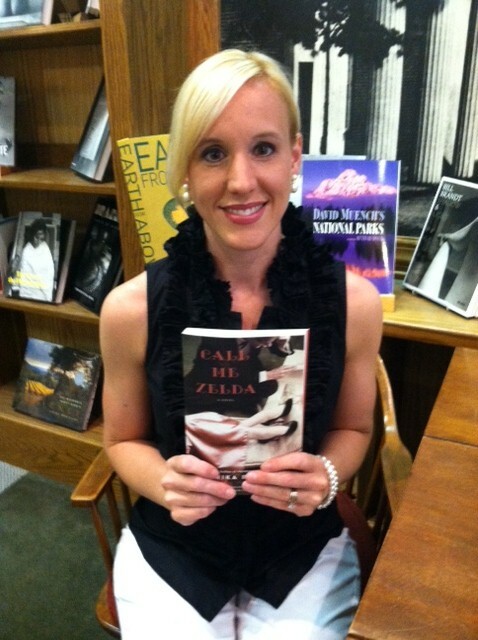 I had the chance to head over to the Concord Bookshop yesterday to hear Erika Robuck talk about her book: CALL ME ZELDA. She chronicles (in novel form) the time that Zelda Fitzgerald (F. Scott’s wife) spent in a mental institution. Ms. Robuck is clearly an expert on the Fitzgerald’s, and her knowledge and admiration of them shined throughout her talk. 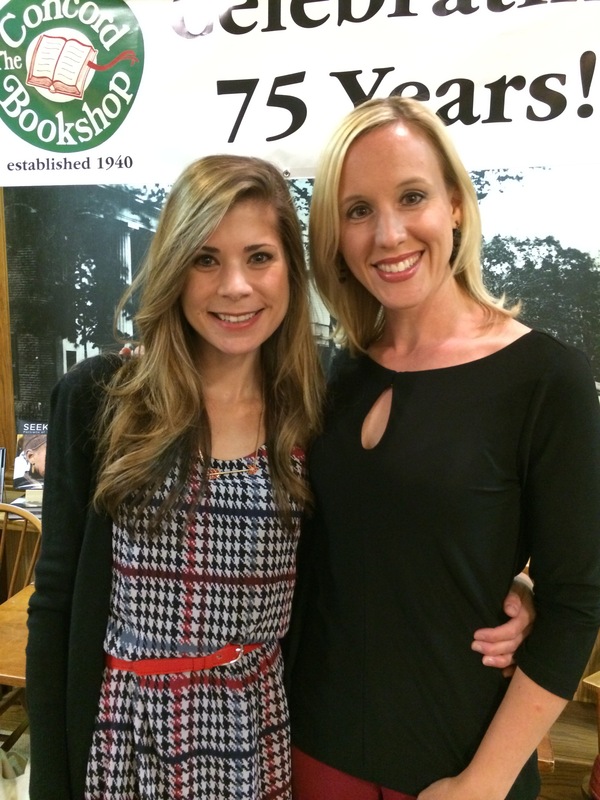 I enjoyed hearing her and meeting her – and I look forward to reading her book! 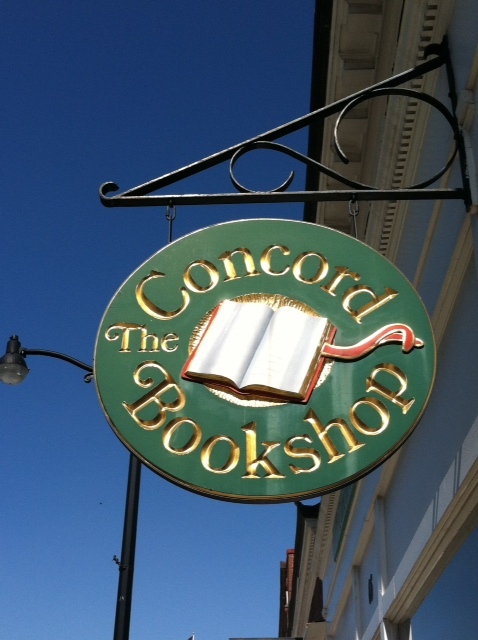 This Sunday I had the opportunity to head over to my favorite independent bookshop – The Concord Bookshop – for a reading by Meg Donohue and Nichole Bernier. Nichole’s novel, THE UNFINISHED WORK OF ELIZABETH D, was one of my fave reads from 2012 (reviewed here: https://drbethnolan.wordpress.com/2012/03/01/review-the-unfinished-work-of-elizabeth-d-by-nichole-bernier/). Meg is a new author for me. Her 2012 novel HOW TO EAT A CUPCAKE was out at the shop. I’ve heard good things about it and will need to read it! I purchased ALL THE SUMMER GIRLS – her latest novel about three friends coming together one summer to reflect on their lives and their choices and issues. Looks like it will be a great read! All in all – a fun afternoon!